Soyuz TMA-1 on launchpad. The Soyuz FG launcher carrying the TMA-21 spacecraft seen on its launchpad. The craft was named 'Gagarin' in honour of the first man to fly in space. TMA-21 was launched on 6th April 2011, the 50th anniversary of Yuri Gagarin's flight, carrying two Russian cosmonauts and one US astronaut to the International Space Station. 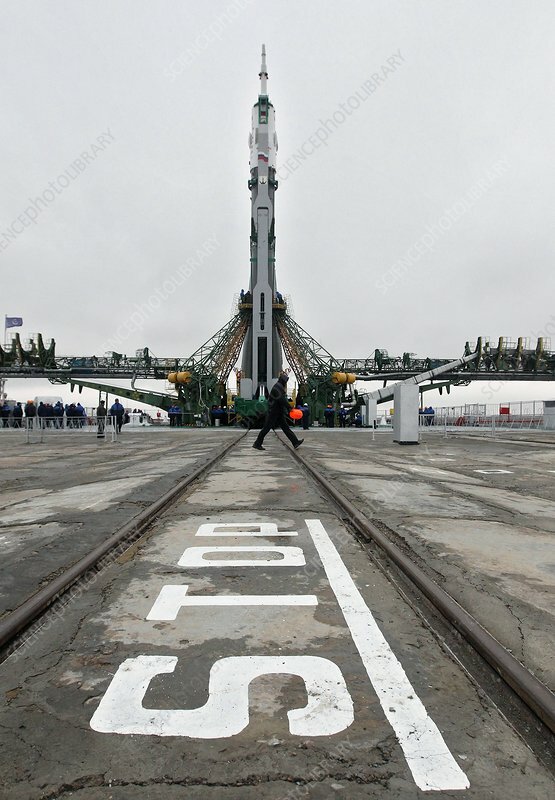 Photographed at the Baikonur Cosmodrome, Kazakhstan, on 2nd April 2011.